The personnel on Dan Tyminski’s second solo CD, Wheels, all knew each other from past session work. So when Alison Krauss put her band Union Station on hiatus this year to tour with Robert Plant, Tyminski and fellow Union Stationer Barry Bales took advantage. Along with Adam Steffey, a former member of the famous bluegrass group, the collective whipped up an endearing set of driving roots music and evocative ballads. Tyminski’s weathered tenor, so memorable in the movie O Brother, Where Art Thou?, shines at the forefront. The chemistry they expected to have in the studio has transferred to the road as well. That was a concept Tyminski picked up on early in life, when his parents would take him to bluegrass festivals in his home state of Vermont and all around New England. He quickly learned the communal nature of the form’s idyllic pedigree. Tyminski has certainly found his place in the family. 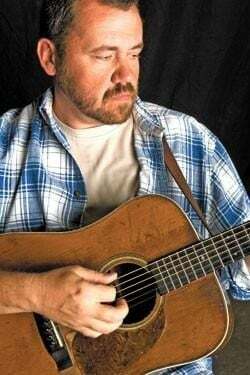 Besides his guitar work and vocal contributions to Union Station and before that in the prominent bluegrass act the Lonesome River Band, Tyminski’s rendition of the Stanley Brothers’ version of “Man of Constant Sorrow” helped introduce the genre to a wider audience. While Tyminski has remained low-key despite his success, he also acknowledges the responsibility that has come with it.